On April 30, 2014, Dontre Hamilton, a 31-year-old unarmed black man diagnosed with schizophrenia, was shot 14 times and killed by a Milwaukee police officer in a popular downtown park. His death sparked months of unrest and galvanized his family to activism. Filmed over three years in the direct aftermath of Dontre’s death, this intimate verité documentary follows his family as they struggle to find answers and challenge a criminal justice system stacked against them. 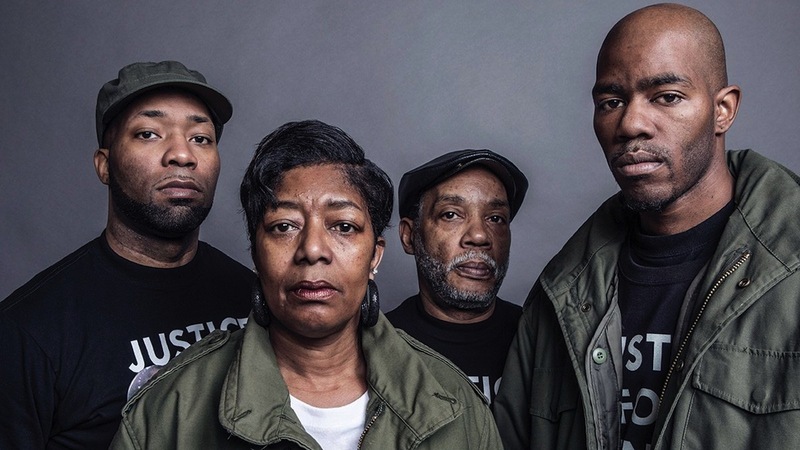 With Dontre’s mother, Maria, and brother, Nate, as our guides, we take a painful look inside a movement born of personal tragedy and injustice. This explosive documentary takes a behind the scenes look at one of America’s most pressing human rights struggles, and asks the audience: what would you do, if this violence found its way to your doorstep? Screening as part of Human Rights Watch Film Festival.